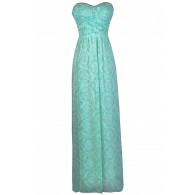 This casual laid-back maxi is the perfect dress to toss on when you want to look great without much effort. The Oatmeal and Blueberries Stripe Maxi Dress is made of a comfy fabric blend. It has a beige and navy horizontal stripe pattern throughout. 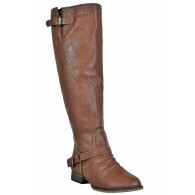 The elasticized waist stretches to fit your shape and black elastic bands at the top of each strap add contrast. Toss this dress on with flat sandals and an oversized bag while you’re running errands for a cute and casual look. It could also double as a swimwear coverup. We love the neutral colors together that look good with anything. Details: Unlined. 95% rayon, 5% spandex. Hand wash cold. Do not bleach. Hang dry. Small measurements: Length from top of shoulder to hemline: 60”. Bust: 32”. 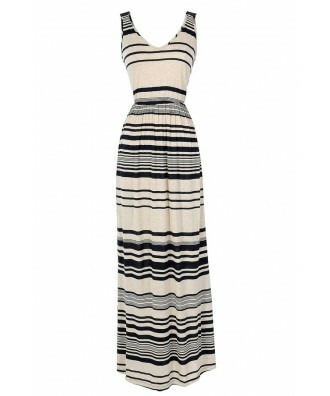 You have added Oatmeal and Blueberries Stripe Maxi Dress into Wishlist. 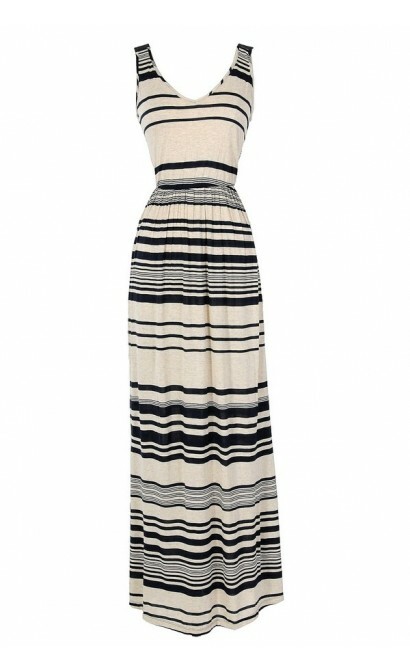 You have added Oatmeal and Blueberries Stripe Maxi Dress for Stock Notification. 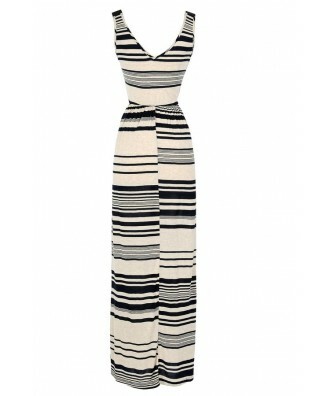 You have set Oatmeal and Blueberries Stripe Maxi Dress as a loved product. You have removed Oatmeal and Blueberries Stripe Maxi Dress as a loved product.